Duncan's first computer was a Toshiba HX-10. Back in the days he was used to load games like Avenger, Way Of The Tiger, Finders Keepers, Knight Lore, and Knight Tyme from tapes. 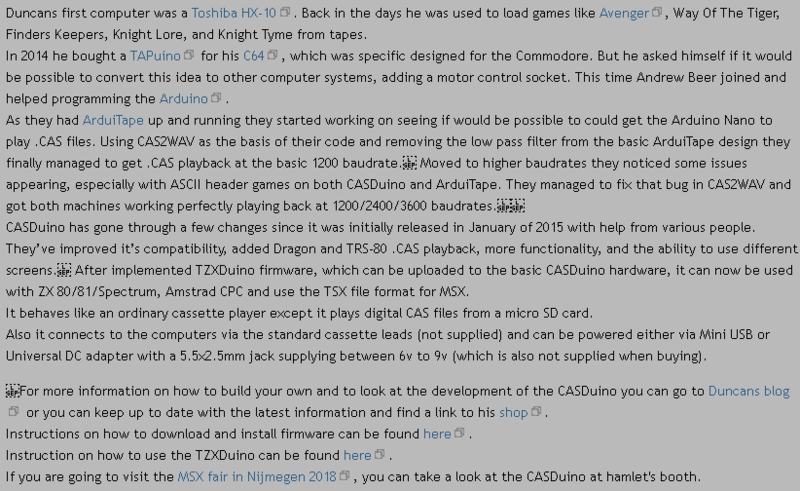 In 2014 he bought a TAPuino for his C64, which was specific designed for the Commodore. But he asked himself if it would be possible to convert this idea to other computer systems, adding a motor control socket. This time Andrew Beer joined and helped programming the Arduino. As they had ArduiTape up and running they started working on seeing if would be possible to could get the Arduino Nano to play .CAS files. Using CAS2WAV as the basis of their code and removing the low pass filter from the basic ArduiTape design they finally managed to get .CAS playback at the basic 1200 baudrate. At higher baudrates they noticed some issues appearing, especially with ASCII header games on both CASDuino and ArduiTape. They managed to fix that bug in CAS2WAV and got both machines working perfectly playing back at 1200/2400/3600 baudrates. CASDuino has gone through a few changes since it was initially released in January of 2015 with help from various people. They’ve improved it’s compatibility, added Dragon and TRS-80 .CAS playback, more functionality, and the ability to use different screens. 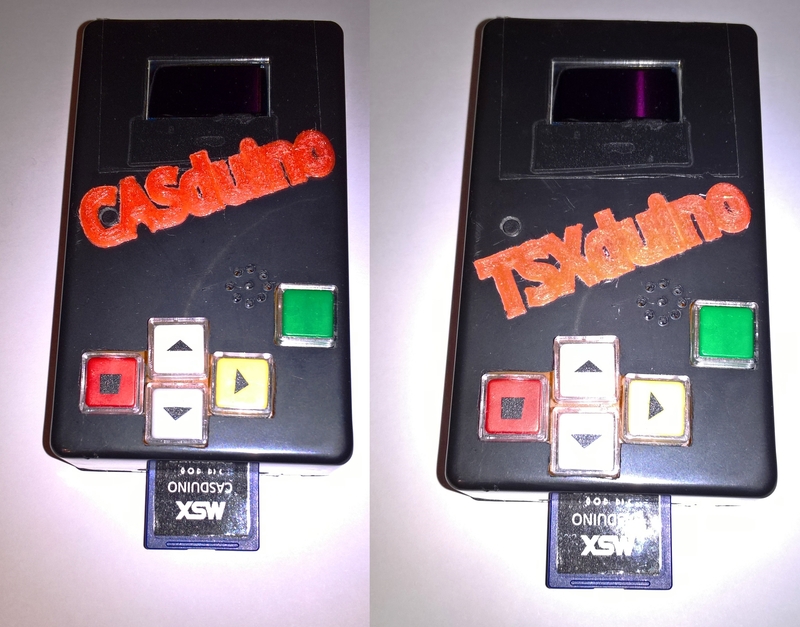 After implementing TZXDuino firmware, which can be uploaded to the basic CASDuino hardware, it can now be used with ZX 80/81/Spectrum, Amstrad CPC and use the TSX file format for MSX. It behaves like an ordinary cassette player except it plays digital CAS files from a microSD card. 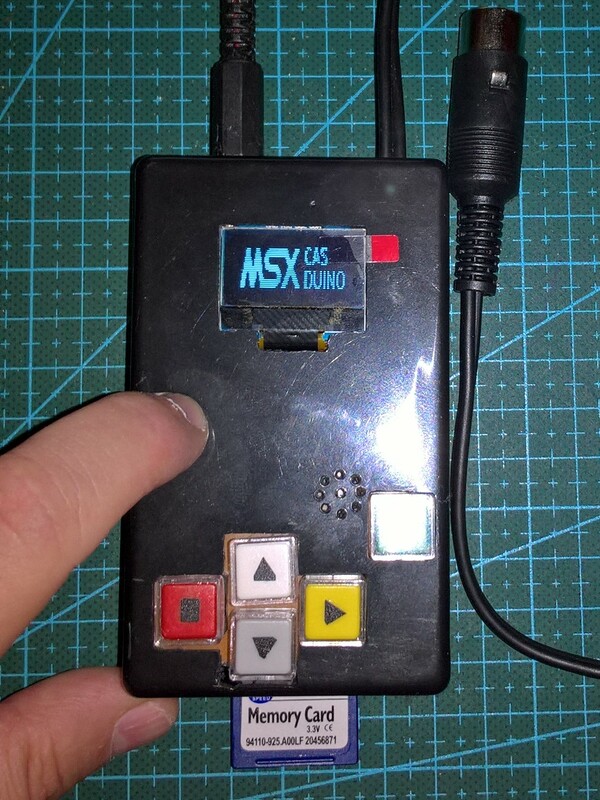 Also it connects to the computers via the standard cassette leads (not supplied) and can be powered either via Mini USB or Universal DC adaptor with a 5.5x2.5mm jack supplying between 6v to 9v (which is also not supplied when buying). For more information on how to build your own and to look at the development of the CASDuino you can go to Duncan's blog or you can keep up to date with the latest information and find a link to his shop. Instructions on how to download and install firmware can be found here. 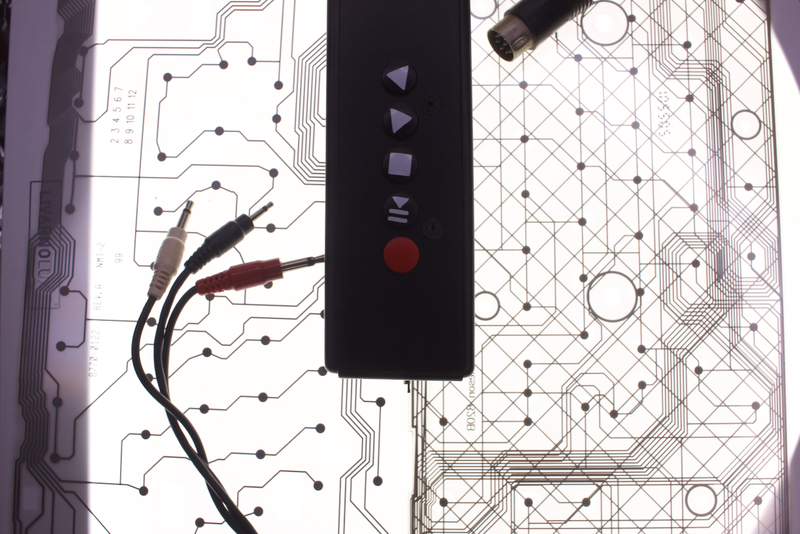 Instruction on how to use the TZXDuino can be found here. 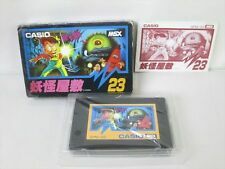 If you are going to visit the MSX fair in Nijmegen 2018, you can take a look at the CASDuino at hamlet's booth. Cool Sounds great. I will definitely take a look at it on the Nijmegen fair! 1. @Hamlet: I love your newspost & the artwork that comes with it. 2. I see a bunch of dotted squares in the text wit "L SEP" in it. Should these be there? Thank you! I can´t recognize the "L SEP" phenomenon on my screen. Anyone else do? On my phone it looks OK though. I don’t see it in Firefox, but I do see it in Chrome. It’s U+2028, odd that it would end up there though, and I don’t really know the purpose of that character. I do use the non-breaking space myself sometimes (Mac users tip: right-alt + space), but I don’t know what the "line separator" is for. I saw the line separator characters as well, and removed them from the article. I forgot to mention a big thank you to Mika Tahti who was one of the first to buy a CASDuino and has bought several more since then for him and his friends. Yes, let´s go back to topic. I got a lot of tapes back then, and it seems time doesn´t matter then. I didn´t care about loading times. 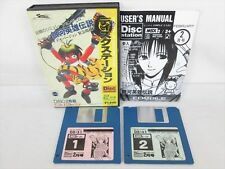 There where only a few games only avaible on disk. 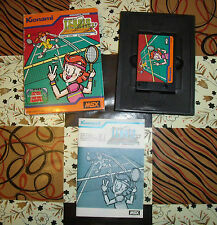 I remeber WinterGames, which you had to load each game seperately. Of course all of my homebrews are still archived on magnetic tape. Am I the only one who mostly just has bad memories of data cassette tapes? When my brother and I were each allowed to choose a game at Dixons', I was always the unlucky one to pick a cassette game we couldn't get running on our NMS 8250. In hindsight, a poke might have worked, but thinking of Punch & Judy and King Balloon we never got working, still annoys me. Besides that, the loading took way too long, especially for a young kid like me, and was at times also unreliable. I probably played some of these games far less frequently than I'd wanted, as a result of that. A nice video about the arduitape and digital computer tape player in general on yt. Quick question when I put games onto an SD card do they need to be converted first or is that done in the software, first time using one of these so thought i would ask. I simply used some cas games from teh tosec. copied them to the sd card so i could access them on the casduino, selected the file. booted up the MSX, typed the run"cas:"bload or whatsoever the cas needs and press play on the casduino, loading the entire game will take about 3-5 minutes from what I've experienced. Mostly cosmetic updates and to make it easier to configure as well.